1. When you're heading up to Sugar Moon this time of year, it's a good idea to call first before leaving to make sure we are plowed and open - winter weather can be very different up here in the Cobequids. 2. As soon as you arrive, give your name to the HOST if you want to eat in the dining room. They will put your name on a list if there is a wait. Then you can take off and explore. 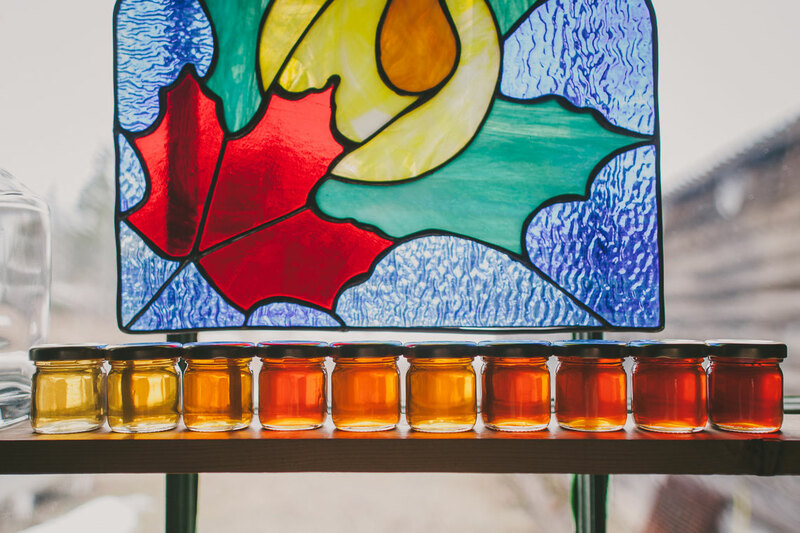 We don’t take reservations - however, we are offering limited availability that day for our MAPLE MAGIC PACKAGE - a prepaid, reserved package at 10 am only. This requires booking and paying ahead HERE. Only 25 seats available. 3. When you get into the restaurant, ask about the Kids' Book Bin so that you can read books about pancakes and maple syrup while you're waiting for your food. 4. Make sure you go for a hike, but DON'T plan on doing the whole thing cause it's a serious 6.2 km. You can always go in a ways and come back. 5. Dogs? We encourage you to leave dogs at home - Sugar Moon is a working farm with a livestock protection dog, horses + electric fences. Dogs are allowed on the Rogart Mtn Trail ON LEAD AT ALL TIMES. Please don't bring your dogs on sugar woods trail behind the restaurant or up the Alex MacDonald Road toward our house. And remember, of course: dog owners MUST clean up after their dogs + PACK WASTE OUT - there are no public trash cans at the farm or on the trail. 6. Want to hike to the sugar woods? You're welcome BUT please be respectful to the area and all the hard work that Scott's been doing: do not go under or over the sap lines and please stay out of the old sugar camp. Thanks!